This anthology was put together by Bruce Spang, who teaches English at Scarborough High School in Maine. It is a collection of poetry by students in his sophomore American Literature courses. The students read a lot of poetry, including many by Moon Pie Press poets, and wrote their own poems inspired by these works. Bruce worked with the young poets on revisions, chose the poems, and put the anthology together. 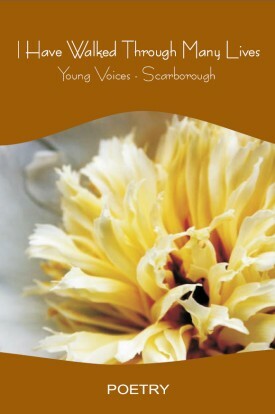 Over 50 poets contributed to this collection, which is a very strong one that I am proud to publish. The book is a testament to Bruce, an inspiring teacher, and to the talent of these wonderful young poets. with your new blond streaks of hair, stunning. "Eggs and pancakes, like always?" I can barely wait: "just one second"
we'd have the best waitress in town.